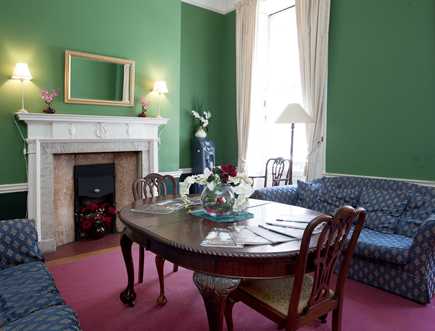 96 Harley Street has been in use by the medical profession for over a hundred years. It has, for generations, been home to some of the country's most celebrated medical Consultants, among them Queen's Physician, who practised from the house between 1966 and 1996. In recent years, the practice of medicine has evolved to include an appreciation of the role of psychological health in overall wellbeing. At 96 Harley Street, we have embraced this development, and are proud to offer a psychotherapy service of a calibre in keeping with the practice's distinguished tradition. Built in 1770, the house at number 96 is Grade II listed, and has been giving gracious service for a very long time. From the moment you step across the threshold, you enter a world of timeless serenity, an ideal environment for the sometimes challenging work of psychotherapy. The interior space has been lovingly preserved, a metaphor for the care you receive under any of our consulting therapists or psychological practitioners. Harley Street lies in the heart of central London, flanked to the North by Regents Park, the South by Oxford Street, the West by Marylebone and the East by Fitzrovia. Its close proximity to several major London railway stations - including Paddington, Euston, Kings Cross and St Pancras - is thought to be one of the main reasons why doctors chose to settle in the area in the late Victorian period.